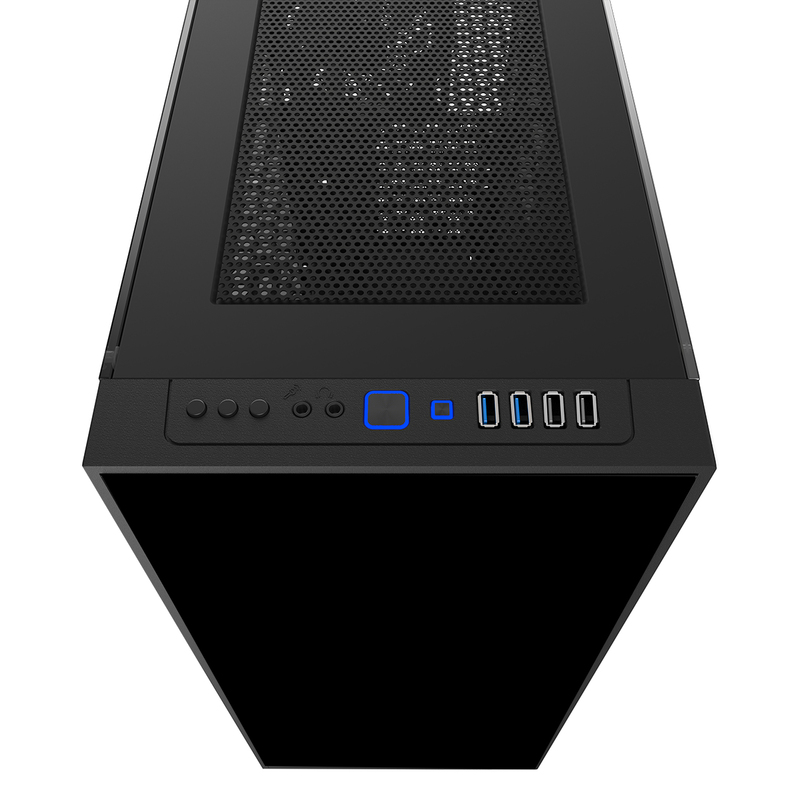 The Game Max Cobalt with its modern design, including 5mm Tempered Glass panels on the front and both sides, give this Gaming Mid Tower case a stylish look. 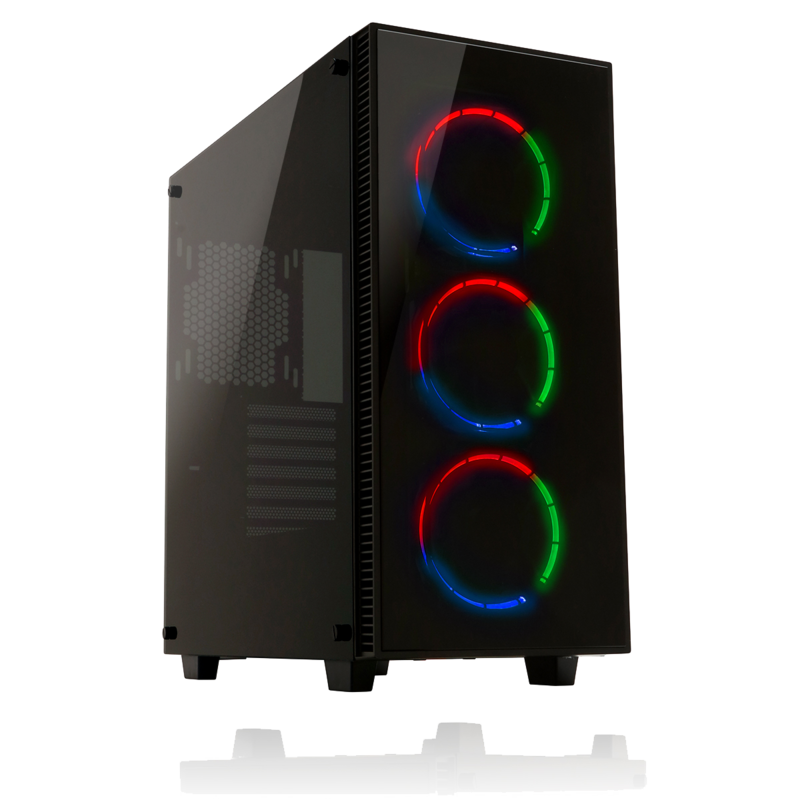 The 3 x 120mm RGB fans included (situated at the front) will bathe your internal components in a soft glow, which can be seen through the dark grey smoked tempered glass panels. The USB3.0 ports (Transfer speeds up to 5Gbps), USB2.0 (Transfer speeds up to 480Mbps), located at the top of the case allow the user to have access to the latest devices, along with the HD Audio ports to give crystal clear sound. The 3-speed fan controller gives the user the ability to decide on either extra cooling (High speed), low noise (low speed), or to simply switch off the fan connected to the controller. 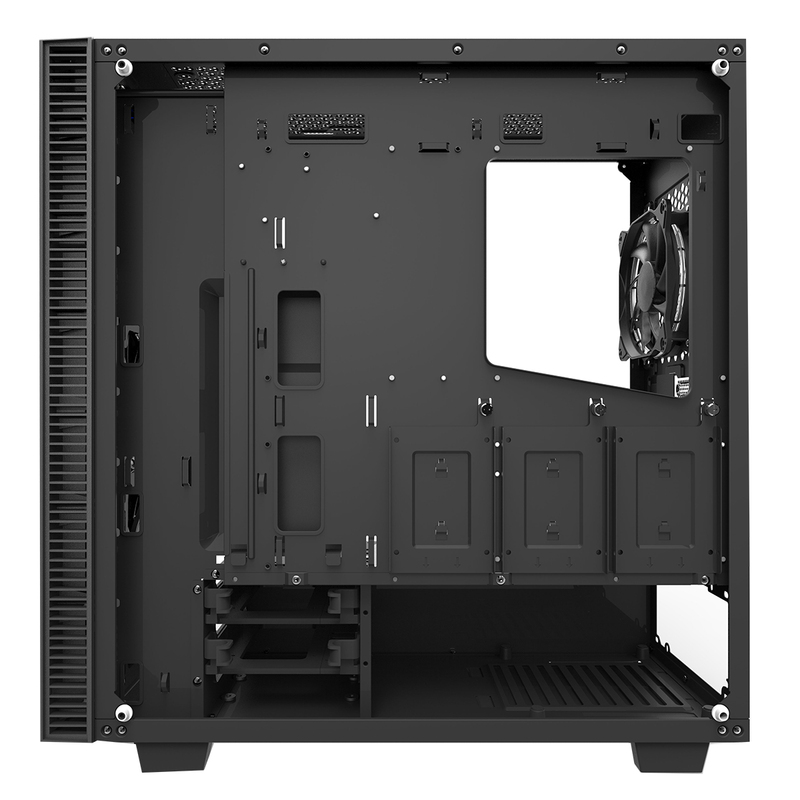 A total of 7 fans can be installed into the system (3 x RGB fans are inc.), or up to 3 x water cooling radiators can be installed: 1 x 240 / 280 / 360mm at the top, 1 x 240 / 280 / 360 / 420mm radiator at the front and 1 x 120mm at the rear, give the Cobalt the ability to keep up with today’s demand for power and speed whilst keeping your system cool. The support for motherboards being E-ATX, ATX, Micro ATX and Mini iTX, give the user greater choice when building their system. 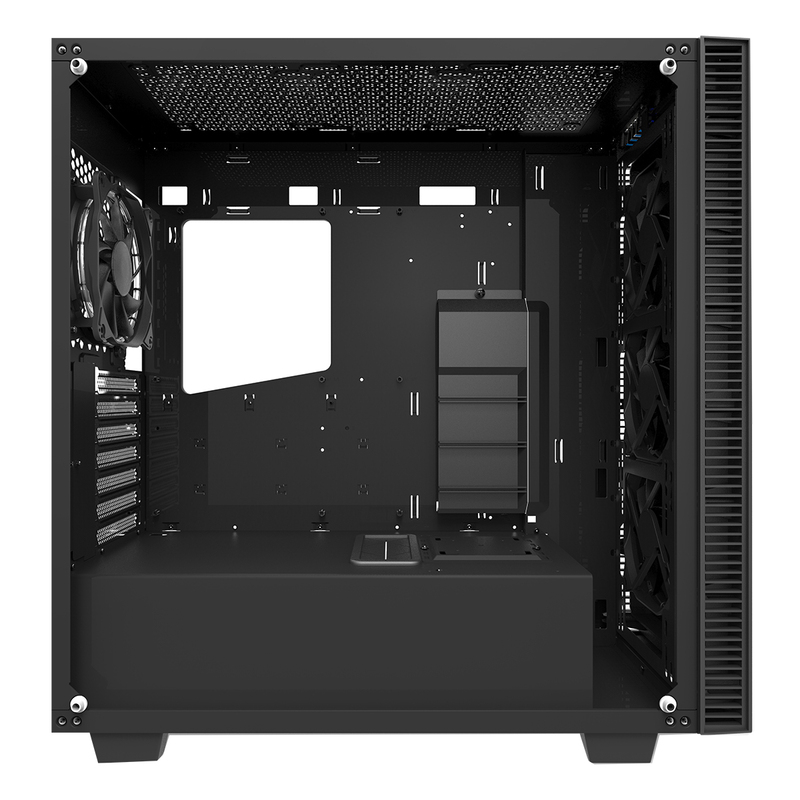 The Cobalt is able to keep up with modern graphics card support with a length of up to 420mm along with a CPU cooler height of 175mm, allowing for a more robust system. Extensive support for water cooling, allowing water cooling radiators of 240 / 280 / 360 / 420mm at the front and 240 / 280 / 360mm on the top. Maximum of 7 x 120mm and 140mm Fans. 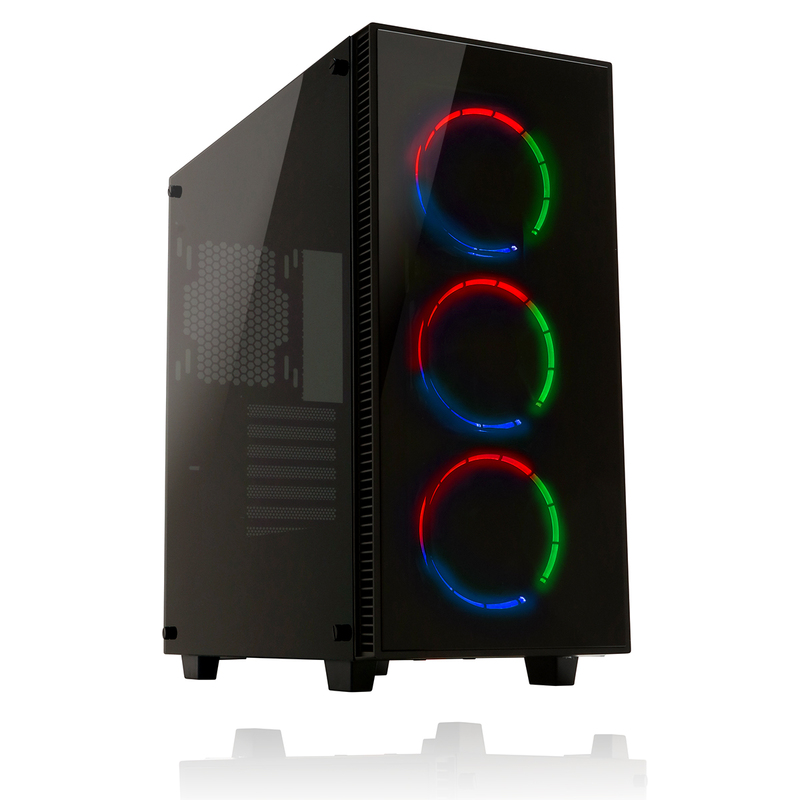 3 x 120mm RGB Fans included. Colours include Red, Green, Blue, Cyan, White, Purple, Yellow and Orange. Up to 5 x HDD support (2 x 3.5 HDD’s and 5 x 2.5 HDD’s). Three-speed fan controller, integrated in the front panel with support for up to 5 fans. Maximum CPU cooler height support of up to 175mm.